Happy weird rockin’ New Year’s Eve. 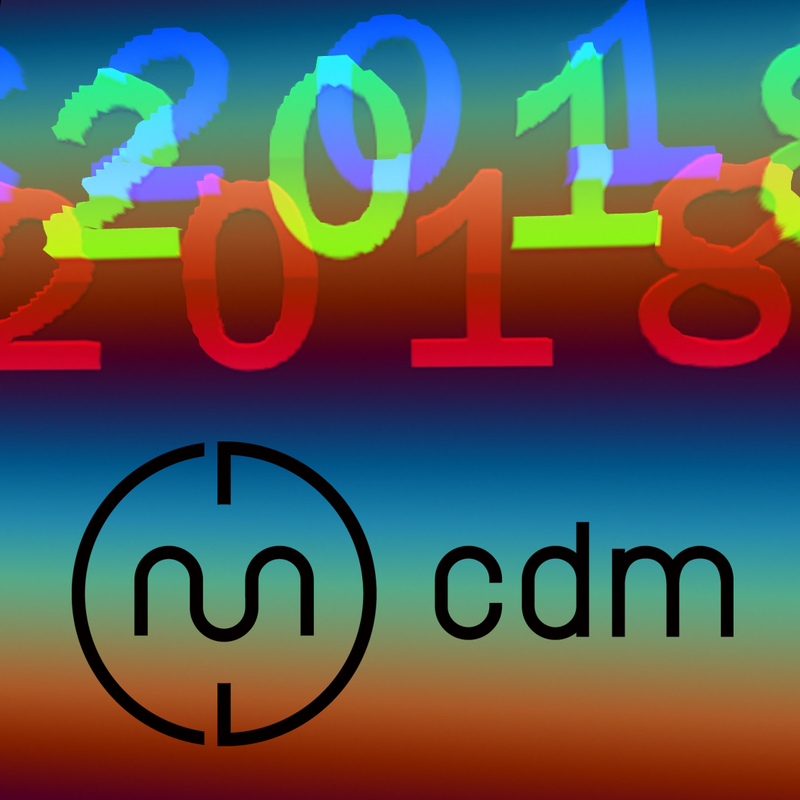 In a continuing tradition, CDM invites back resident music curator David Abravanel to single out some beloved music of 2018. We live in fortunate times; that job is deliciously hard. But it’s a chance to discover and rediscover some great sounds. Without exaggeration, I cannot remember the last time I’ve had such difficulty paring down a year-end list. It’s not that I necessarily heard more music in 2018 – rather, it really did seem like everything was just that much better musically. Most likely it’s the product of turbulent times – and certainly, many of these albums are neither fun nor relaxing. Outrage fatigue was on full display with Low’s magnificent Double Negative and Beans’ personal Someday This Will All Be Ash. Exciting new explorations of Electro came courtesy of LA-4A and Morphology, coupled with reminders of classics from the Scopex label. Taken together, Róisín Murphy’s four incredible single releases (in collaboration with left-field house/ambient stalwart Maurice Fulton) could make an AOTY candidate. Eight tracks of solid gold that should be on every dance floor. Fantastic year for reissues of classic ambient techno – B12, The 7th Plain, Higher Intelligence Agency, Biosphere, and Susumu Yokota all still sound vital. The 3AM Spares compilation was a fun discovery – picking gems from the after-hours house and breakbeat sounds of early-mid 90s Australia. At the risk of understatement, it’s difficult to keep up with Aleksi Perälä’s overwhelming output. That said, Moonshine was a real winner, combining his spiritual Colundi Sequence with classic jungle rhythms. Speaking of spiritual, it took a while to come around to it past the hype, but that DJ Healer album was something special. A real mood and atmosphere from start to finish – listen with your eyes closed. Some real sleeper gems from Inigo Kennedy, GusGus, The Field, and Derek Carr – RIYL techno with feels. So dig it. And here’s to some hope in 2019! Love to you and yours. Of course, buy stuff you love from the labels.